The same man who slammed the door on Syrian refugees used the plight of Syrian children to justify the bombing. It is vital that our representatives feel the heat from constituents angry about yet another illegal war in the Middle East. They must act swiftly and decisively to rein in Trump’s illegal military escalation in Syria. Sign the petition below demanding that Congress cancel its recess to debate and vote on President Trump’s military escalation in Syria. Then call your representatives to amplify the message. You can reach them through the Capitol switchboard at 202-224-3121; you can also find your senators’ numbers here and representative’s number here. 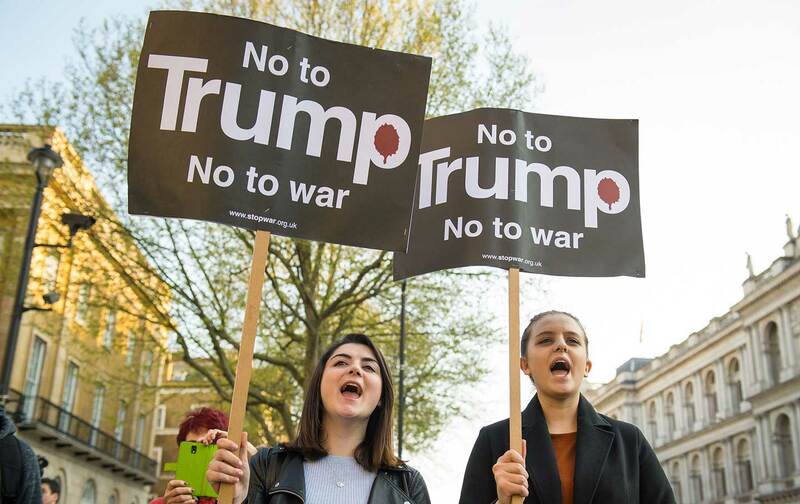 Finally, for more insight on the war in Syria, read Greg Grandin on Trump’s use of the strike to win over his domestic critics and Phyllis Bennis from this fall on what a “powerful movement demanding an end to the war in Syria” could look like. Only Congress can authorize the kind of military force Trump just unleashed on Syria. We strongly urge our representatives to cancel their spring recess and immediately return to Washington to hold debates on and rein in Trump’s illegal escalation of military force in Syria. You will receive activism alerts and updates from The Nation magazine. You may unsubscribe at any time.